The plot thickens this week as a bruised Frank languishes in the glass cell formerly occupied by Vincent, and Morton continues his gentle probing of the townsfolk. Despite the mutual mistrust between Anderssen and Henry Tyson, the disgraced sheriff finds himself seeking refuge with the dying photographer, his erstwhile friend, in the wake of his violent altercation with Frank in Elena’s hotel room. Morton surmises that Anderssen is obsessed with Elena, hence the extremity of his reaction to finding the former soldier in her shower, but there seems to be more to their relationship. Something of Elena’s past is revealed when Morton unearths her criminal record. Elena was formerly Esmerelda, and served time for murder, although whether it was the Spanish temptress or her lover who stuck their unfortunate victim through the eye is still up for debate. Elena argues that she is a different person now, reasoning that it takes seven years for all the atoms which make up a human to be replaced. Morton is understandably sceptical, especially as Elena seems to know more about Pettigrew that she’d care to admit. Frank also receives a grilling from DCI Morton, and claims the blood on his t-shirt belongs to his son, Liam. Franks admits that he left Liam alone to have a tryst with Elena in the outbuilding – a detail overheard by wife, Jules – but denies any involvement in Stoddart’s death. We also discover that Frank was discharged from the army having suffered some kind of spontaneous loss of sight whilst piloting a plane. Meanwhile, the soiled garment in question and blood samples are given to Natalie and Vincent for DNA testing, although Natalie warns that any test performed by the research facility will not be admissible evidence. The blood is found to be Charlie Stoddart’s, but by the close of the episode, having discovered Liam’s pyjamas also caked in blood, Dan Anderssen has decided he believes Frank is innocent of anything pertaining to the scientist’s death. Instead, he concludes that Liam was present while Stoddard was killed, and that the child was taken from his bedroom. A good theory, only we saw Liam leave through the window in episode one…didn’t we? Colour me confused! Elsewhere in Fortitude, we discover that universally loved Shirley is actually Doctor Allerdyce’s daughter. Sure enough, Shirley’s relationship with creeptatsic Markus seems to be based on his feeding fetish, and there’s clearly some underlying mother/daughter issues as Shirley derives great pleasure watching her ‘beans and Marmite’ ex-pat mater unwittingly eat whale meat. Shirley also appears to come into contact with the mammoth carcass, which throws up all sorts of questions. Markus mentions that everyone in Fortitude tells Shirley their secrets, so perhaps she knows a lot more about events than she’s letting on. Meanwhile, Hildur is still skulking about, trying to keep control of the situation, and watching her husband and Trish like a hawk. And Ronnie and Cassie are still hiding out in a tent on the glacier. Ronnie is cheered by the presence of reindeer, which he figures means there are no polar bears nearby. But then he sustains a mysterious injury to his hand, which reminds us of Elena’s claim that things can come out of nowhere and get you in Fortitude. This combined with Natalie’s information about the self-terminating, hermaphrodite reindeer foetuses served to ramp up the disquieting sense that something uncanny is going on in this frozen place. So while we seem to have made inroads, this episode posed more questions than it answered. With so many crumbs of new subplots being scattered about the place, it’s hard to know what is pertinent information and what is red (pickled) herring. 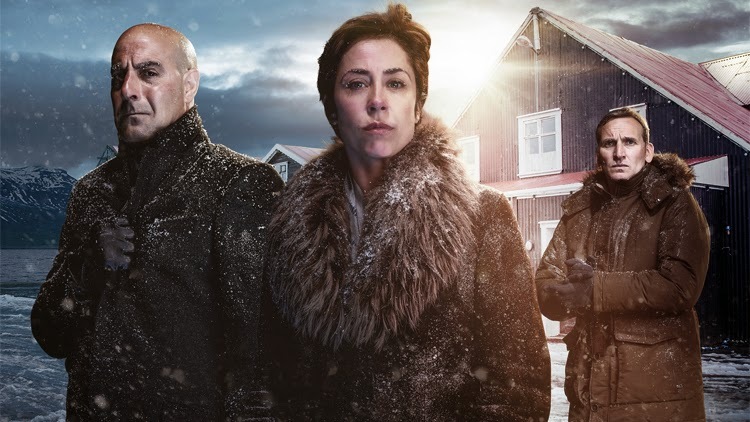 As viewers, we seem to be in a strange, cold hinterland because Fortitude stubbornly refuses to nail its colours to the mast. The more surreal moments suggest things are about to get even weirder and darker, but then we find ourselves back in standard detective procedural and middle class wife-swapping territory. I am a fan of ambiguity. I don’t need to be spoon-fed – in fact, I enjoy a challenge. But with all this uncertainty, I also like to have a sense that the myriad details are forming a big picture which I will eventually be revealed and will blow my mind. I still don’t have that confidence in Fortitude, but I remain hopeful. 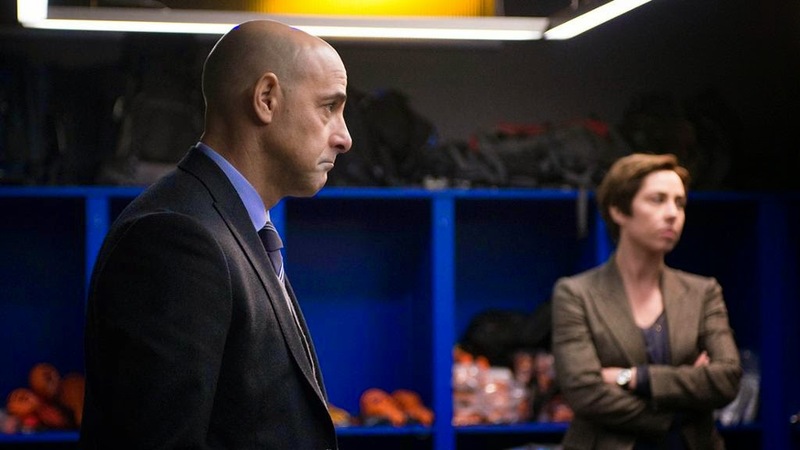 This entry was posted in Uncategorized and tagged drama, fortitude, review, TV. Bookmark the permalink.